Bloomberg reports that the Bank of England has refused to turn over $1.2 Billion in Venezuela’s gold to the Maduro government. Koerner has repeatedly appeared on The Real News and just appeared on Sky News Australia. 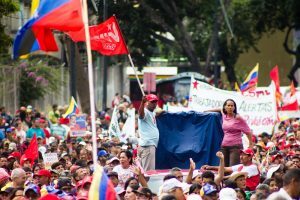 See Dobson’s most recent interviews and pieces on VenezuelAnalysis.com, They are here and here.